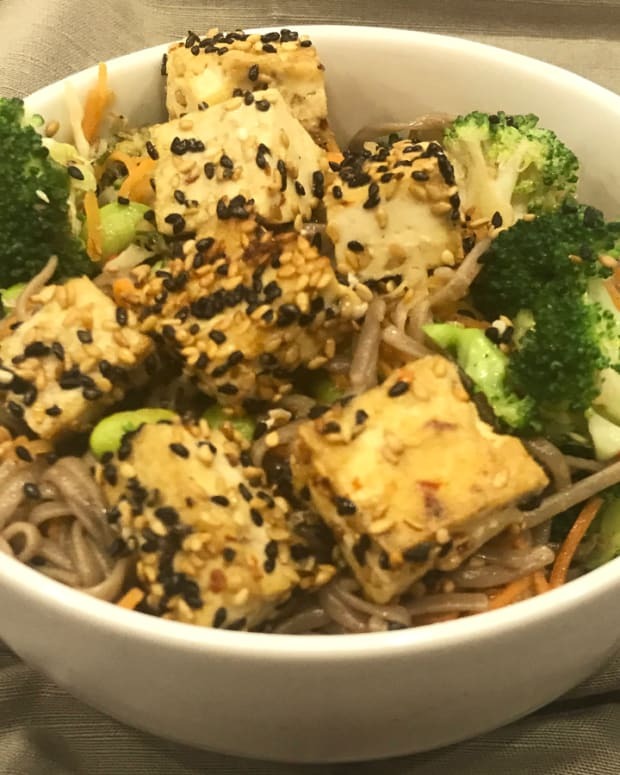 Try something new, Tempeh is a fermented soy product that has a slightly bitter taste. 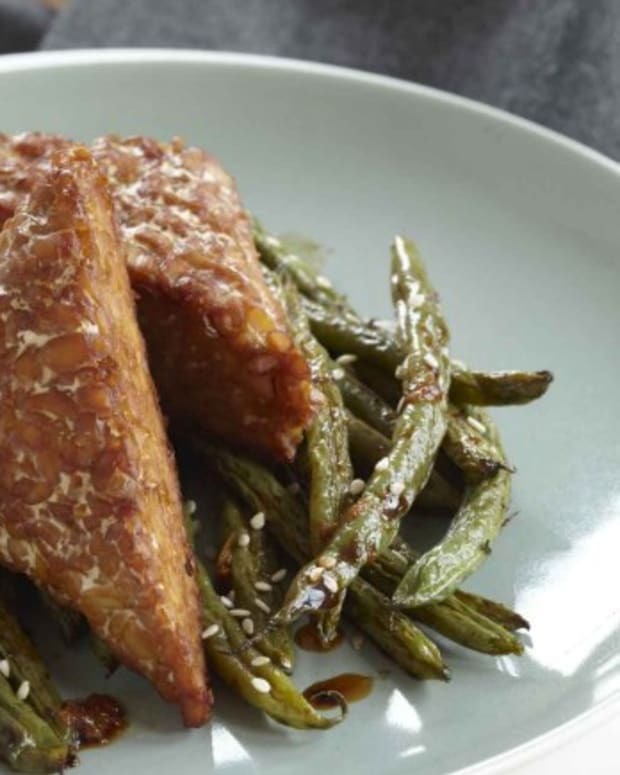 It holds up well to strong Asian flavors and the texture is much more firm and meaty than tofu. 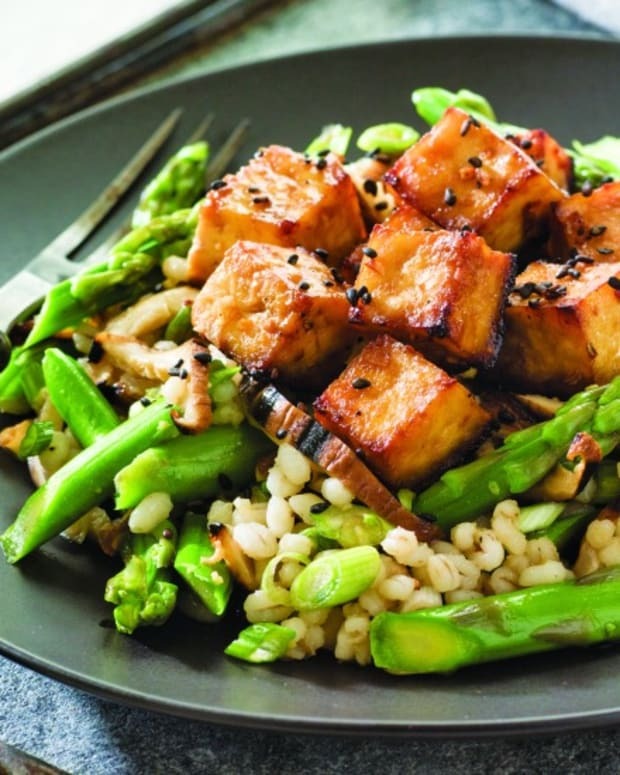 This preparation is a great way to give tempeh a try. 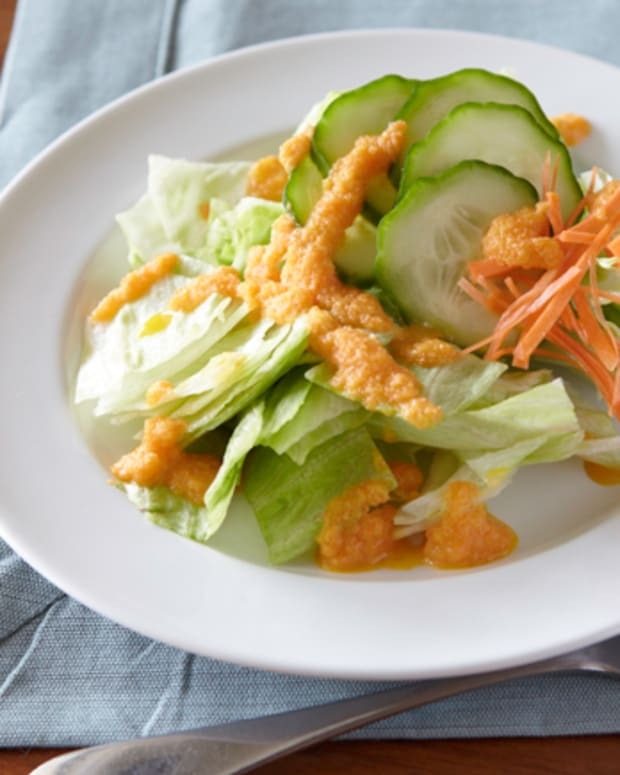 In a medium bowl, whisk together tamari or soy sauce, vinegar, ginger, garlic powder, honey, sesame oil and orange juice. Add the tempeh and marinate at room temperature, turning occasionally, 15-20 minutes. Preheat oven to 375 degrees. Transfer marinated tempeh pieces and any remaining juice to an 8 x8 inch baking dish, making sure the tempeh pieces are not touching. Bake for 12 minutes, then flip pieces and bake an additional 12-15 minutes until tempeh is browned and the marinade has reduced to a sticky sauce. Serve topped with sesame seeds, if desired. 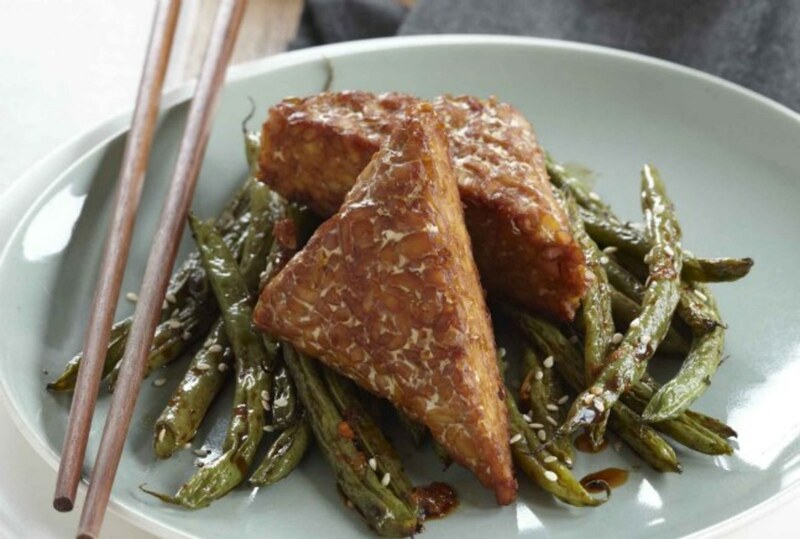 Notes: Tempeh is a traditional Indonesian food made from soybeans that have been cultured and pressed into cakes. 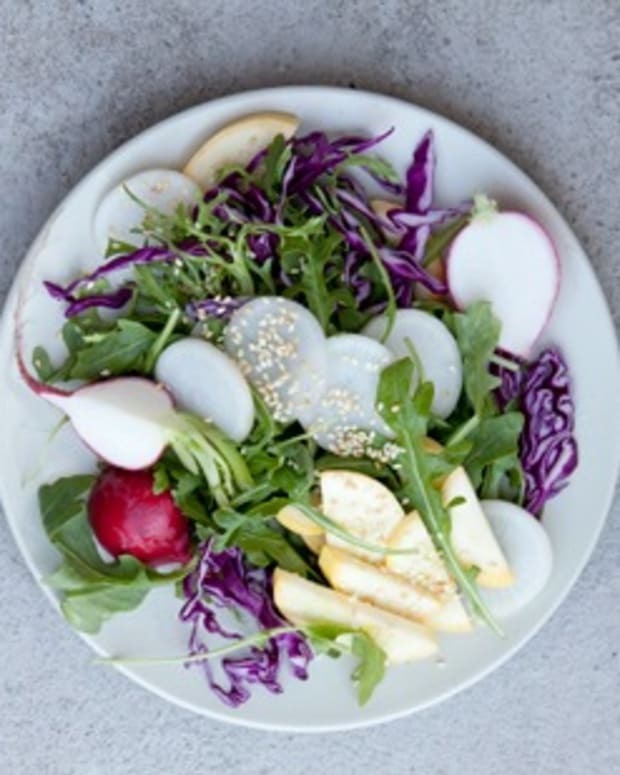 Its firm texture and nutty flavor makes it a delicious alternative to meat, and the fermentation process used to make tempeh allowsthe final product to retain higher amounts of protein and vitamins than tofu. Tempeh is widely available in health food stores and increasingly available at supermarkets. A note on freshness: tempehwill occasionally have darkened area, especially around the edges. This coloration is a result of the culturing process and not an indication of spoilage.